It is unlikely that the existence of any species botanical or zoological has been as vehemently debated as the endangerment, extinction, or survival of bel canto. That the pillars of bel canto rest on the shoulders of Rossini, Donizetti, and Bellini is little disputed, but the parameters of this ephemeral subspecies of Western music are otherwise difficult to define. Unlike many of the passion-fueled feuds over matters of operatic esoterica, the questions of whether or when the death knell for bel canto sounded are logical considerations. Bel canto has no Fort Sumpter and Appomattox, no convenient and clearly-documented beginning and end. Examining a score like Francesco Cavalli’s 1651 La Calisto, it is obvious in the music for Diana and Endimione that the seeds of bel canto are present, but have they germinated? Is ‘Vivo in te, mio caro bene,’ Händel’s duet for Asteria and Andronico in his 1724 Tamerlano, a prototype of the bel canto lovers’ duet or the thing itself? The quest to understand its past is a vital component of the preservation and perpetuation of any art form, but to obsess over pinpointing the precise moment in operatic history at which its stylistic origins yielded the fully-fledged practice of bel canto is to entomb a still-warm body in a sepulcher of pedantry. For the past four decades, Opera Rara performances and recordings have brought bel canto as inherited from its Nineteenth-Century guardians into the Twentieth and Twenty-First Centuries, and that journey reaches new destinations with two enchanting new releases. With this pair of discs, homages to two of the Nineteenth Century’s most influential singers by a pair of the Twenty-First Century’s most significant artists, Opera Rara again ventures into the realm of recital discs, returning to territory explored by the label’s invaluable Il Salotto and 100 Years of Italian Opera series. Écho and Espoir, soprano Joyce El-Khoury’s and tenor Michael Spyres’s explorations of music sung by their artistic ancestors Julie Dorus-Gras and Gilbert Duprez, not only continue the tradition of Opera Rara’s extraordinary achievements in recording bel canto repertory but on their own merits raise the stakes for today’s singers with bel canto aspirations. Tastefully supported by The Hallé and Carlo Rizzi, whose playing and conducting exude thorough knowledge and incontestable affection for the music, El-Khoury and Spyres sing with involvement that transforms the recording studio into the stage of an opera house, guiding the listener into the unique dramatic milieu of each selection. Many recital discs are afflicted by blandness that results from removing arias from their proper contexts, but Écho and Espoir are wonderfully successful at conjuring the requisite atmospheres in which the music thrives. 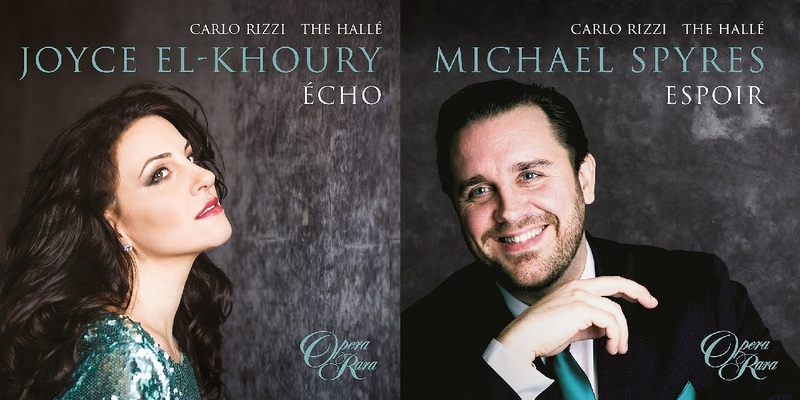 Opera Rara’s engineering is not always flattering to El-Khoury or Spyres: as heard on these discs, both of their voices sporadically have harder edges than their performances in the world’s opera houses have revealed. Still, both singers are on magnificent form, and the discs convey the visceral excitement that their singing incites. Begun in Valenciennes in 1805, the long life of Julie-Aimée-Josèphe van Steenkiste coincided with one of the most tunefully tumultuous eras in the evolution of opera. Known professionally as Julie Dorus-Gras after her 1833 marriage to a violinist in the Paris Opéra orchestra, this extraordinary soprano exerted influence on that musical evolution similar to that wielded by her contemporaries Giulia Grisi, María Malibrán, Giuditta Pasta, and Pauline Viardot. In the course of her own evolution, via which she allied natural talent with technical mastery and interpretive sophistication, Dorus-Gras studied with the widely-acclaimed Italian tenor Marco Bordogni, Rossini’s first Conte di Libenskof in Il viaggio a Reims; the composer Ferdinando Paër; and the respected baritone Henri (né François-Louis Henry), who created Sulpice in La fille du régiment for Donizetti and whose pupils also included Cornélie Falcon. During her lauded career, she was a practical muse to a number of composers, the litany of characters first sung by Dorus-Gras populated by Pauline in Donizetti’s Les Martyrs (a rôle that El-Khoury thrillingly performed in concert and recorded in studio for Opera Rara, partnered by Spyres), Teresa in Berlioz’s Benvenuto Cellini, Oscar in Auber’s Gustave III, Princesse Eudoxie and Ginérva in Halévy’s La Juive and Guido et Ginérva, and Alice and Marguerite de Valois in Meyerbeer’s Robert le diable and Les Huguenots. By the time of her death in 1896, Dorus-Gras had suffered the fate of many long-lived singers of her time: with a few notable exceptions, the rôles for which she was renowned were no longer present in the international repertoire. Recreating the musical prowess and dramatic directness for which Dorus-Gras was celebrated, El-Khoury proves that the music with which her predecessor’s reputation was made is as impactful now as it was more than a century-and-a-half ago. In addition to her Pauline in Opera Rara’s Les Martyrs in concert and on disc, El-Khoury’s Donizetti credentials include a triumphant turn as the titular Queen of Scots in Seattle Opera’s 2016 production of Maria Stuarda. The title rôle in Donizetti’s most enduringly popular opera, Lucia di Lammermoor, was sung in the work’s 1835 première by Fanny Tacchinardi Persiani, but Julie Dorus-Gras contributed indelibly to Lucia’s conquests of Europe’s opera houses and the esteem of their audiences. El-Khoury’s ‘écho’ of Dorus-Gras’s Lucia is a performance of the Act One cavatina ‘Regnava nel silenzio’ and cabaletta ‘Quando rapito in estasi.’ In the cavatina, El-Khoury dispatches the fiorature cleanly, but it is her legato that compels admiration. The trills and top Cs in the cabaletta do not come as effortlessly to El-Khoury as to Sutherland and Sills, but the younger soprano shares with Callas, Gencer, and Zeani a particular talent for using bravura writing as an expressive tool. As encountered in this music, El-Khoury’s Lucia is unusually thoughtful and self-assured, potentially making the character’s eventual descent into madness all the more harrowing. In only this aria and cabaletta, El-Khoury gives a more complete and original vocal and dramatic portrait of Donizetti’s and Sir Walter Scott’s Bride of Lammermoor than many sopranos achieve in performances of the full opera. The infrequency with which Giacomo Meyerbeer’s Robert le diable has been performed in the past century is indicative of the difficulty of the music. One of the scores that defined Grand Opéra for Nineteenth-Century audiences, Robert’s principal rôles are as near-impossible to cast with complete success as those in Verdi’s La forza del destino and Wagner’s Parsifal. Her accounts of music for Alice and Isabelle on this disc suggest that enterprising opera companies—and Opera Rara’s microphones!—should capitalize on El-Khoury’s affinity for this music by scheduling Robert le diable for her. To Alice’s Act One romance ‘Va, dit-elle, va, mon enfant’ the soprano brings the evenness of tone throughout the compass that makes her singing of lyric repertoire so satisfying, combined here with absolute command of Meyerbeer’s hybridized musical style. Her singing of Alice’s Act Three couplets, ‘Quand je quittai la Normandie,’ is equally enjoyable, the momentum of her singing drawn from her discerning enunciation of the text. Isabelle’s Act Four cavatine ‘Robert, toi que j'aime et qui reçus ma foi’ is perhaps the score’s most familiar number, and El-Khoury’s performance of it on Écho affirms the legitimacy of the piece’s continued prominence in sopranos’ concert repertories long after Robert le diable disappeared from opera houses. This is demanding music, dauntlessly sung, but it is again El-Khoury’s connection with the character and her emotions that earns the greatest praise. It was in Hector Berlioz’s 1841 arrangement with recitatives replacing the original spoken dialogue, contrary to Berlioz’s wishes, that Carl Maria von Weber’s Der Freischütz became known and appreciated in Paris, and it is the French adaptation in which Dorus-Gras sang Agathe. Continuing that legacy, El-Khoury performs Agathe’s scene and aria in French, shaping the difficult vowels with naturalness that eludes many French-born singers. This is especially noticeable in the recitative, in which she articulates ‘Hélas! sans le revoir, faut-il fermer les yeux?’ with such immediacy that the listener has no need to consult the printed text in order to sense the interrogatory frisson of the scene. El-Khoury continues to build tension in her traversal of ‘Ma prière, solitaire, de la terre vole vers Dieu!’ Her cathartic realization of the aria’s climax is wholly stylish but shows Wagner’s heroines to be close on the horizon. Berlioz’s own music is sampled with the scene for Teresa from Act One of Benvenuto Cellini. Here, too, El-Khoury’s handling of words is keenly perceptive. The introductory recitative ‘Les belles fleurs!...Un billet... Cellini!’ is sung with burgeoning passion, and the air ‘Entre l’amour et le devoir un jeune cœur est bien à plaindre’ receives from singer, orchestra, and conductor a performance that seems to come from the stage rather than the recording studio. Though their voices are very different in timbre and weight, El-Khoury’s singing of this music by Weber and Berlioz is delightfully reminiscent of the little-remembered Suzanne Sarroca’s vocalism. The singer of any Fach who takes on music from Gioachino Rossini’s Guillaume Tell is a brave adventurer unafraid of tests of stamina and technique. Even removed from its setting in the full opera, Mathilde’s Act Two romance is a formidable trial, looking forward to Élisabeth’s ‘Toi qui sus le néant’ in Verdi’s Don Carlos more than back to music for Rossini’s other soprano heroines. Rossini was Italian, of course, but the musical language of ‘Ils s’éloignent enfin’ is as unmistakably French as the text. El-Khoury voices both the recitative and the aria ‘Sombre fôret, désert triste et sauvage’ plaintively but with technical steel beneath the artistic platinum. This is also true of her performances of arias by Ferdinand Hérold and Fromental Halévy. The Entr’acte and Isabelle’s air ‘Jours de mon enfance’ from Act Two of Hérold’s Le pré aux clercs are delivered with consummate musicality by orchestra and soprano. Rachel’s air ‘Assez longtemps la crainte et la tristesse ont habité les murs de ce palais’ from Act Three of Halévy’s La Juive is sung with perfectly-judged pathos and delicate but resilient phrasing. In her performances on Écho, El-Khoury’s tone remains focused, steady, and darkly beautiful from the bottom of the range to D6. That alone qualifies her as a legitimate successor to Dorus-Gras, but El-Khoury claims this music as her own. No mere echo, this disc is the product of a creative spirit in whom Dorus-Gras would undoubtedly recognize a Twenty-First-Century protégée. A native Parisian, Gilbert-Louis Duprez was born in 1806 and, in but one of many parallels with the life and career of Julie Dorus-Gras, died in 1896. Of great significance in the development of his singular technique were his studies with Alexandre-Étienne Choron, a brief-tenured director of the Paris Opéra, where Duprez ultimately shared primo uomo laurels with Adolphe Nourrit, a fellow tenor with an extensive range and groundbreaking approach to their Fach’s highest tones, which theretofore had been produced by falsettone. Taking modal resonance to the top of the range without employing falsetto as previous generations of tenors had done, Duprez was a potent force in the development of modern tenor singing. He appeared as Arnoldo in the first Italian production of Guglielmo Tell and originated the name part in Berlioz’s Benvenuto Cellini, but he was—and still is—primarily associated with the music of Donizetti. In addition to creating one of the cornerstone tenor rôles of Italian bel canto, Edgardo in Lucia di Lammermoor, Duprez also originated Ugo in Parisina d’Este, Fernand in La favorite, Polyeucte in Les Martyrs [a part originally intended for Nourrit], and the title rôle in Dom Sébastien. Now principally remembered for his exhilarating upper register, Duprez was clearly an artist with patrician sensibilities that complemented those of Dorus-Gras and other eminent musicians of his time. The same can be said of Michael Spyres. The highest tones on Espoir are stunning, but it is the youthful exuberance of Spyres’s singing that truly astonishes. Duprez himself would surely be gratified—and more than a little threatened—to hear his music sung so appealingly. Though still overshadowed by Verdi’s setting of Shakespeare’s complex examination of prejudice, stereotypes, and uncontrollable jealousy, Rossini’s Otello has gained traction in the international repertory in recent years. The French version of the opera remains virtually unknown, however; a neglect that deprives listeners of music no less characterful than that of Le siège de Corinthe, Moïse et Pharaon, and Guillaume Tell. Rossini’s reaction to the newly-minted do di petto is widely documented, but it is impossible to imagine the composer objecting to any aspect of the performance that Otello’s Act One cavatine ‘Venise, ô ma patrie’ receives from Spyres, The Hallé, and Rizzi. The tenor’s singing is at once tender and thorny, lending this abbreviated portrayal of the character credibility as lover, soldier, and statesman. Musically, there is no finer performance in any language of any of Otello’s music on disc. 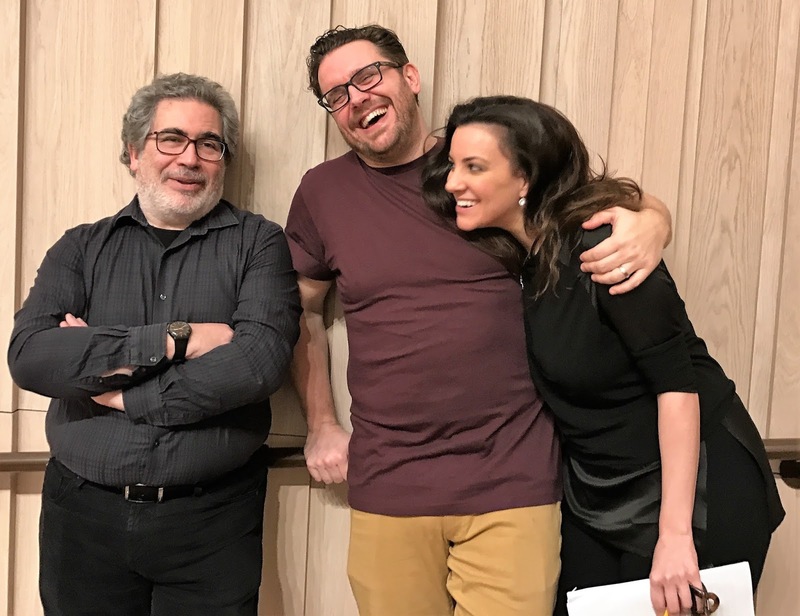 Spyres sang Enrico in Donizetti’s Rosmonda d’Inghilterra in the 2016 Opera di Firenze concert presentation in which Alberto Sonzogni’s new critical edition of the score was performed for the first time. Prior to that outing and a subsequent production in Bergamo, Donizetti’s hometown, the opera had by all indications not been heard since the Nineteenth Century except in a 1975 staging in Belfast and a 1994 studio recording of the complete opera with Bruce Ford as Enrico, both produced by Opera Rara. Here revisiting Enrico’s Act One scene, Spyres phrases the recitative ‘Dopo i lauri di vittoria son pur dolci i fiori al prode’ with innate affinity for Donizetti’s style, following the composer’s lead in verbal emphases. He launches the aria ‘Potessi vivere com’io vorrei’ with panache, easily taming the music’s ferocities. Neither the broad melodic arches nor the exposed top D♭ in the protagonist’s Act Two air ‘Seul sur la terre’ from Dom Sébastien overwhelms Spyres’s technique, and his performance of Fernand’s anguished recitative ‘La maîtresse du Roi!’ and exquisite aria ‘Ange si pur, que dans un songe j’ai cru trouver, vous que j’aimais!’ from Act Four of La favorite is a deeply-felt interpretation of music approached by some singers as a vehicle for meaningless vocal display. Spyres’s ringing top C is the utterance of a young man experiencing crippling crises of conscience and faith. It is astounding to recall that many performances of Lucia di Lammermoor in generations past ended with Lucia’s mad scene, omitting the sublime final scene for Edgardo in which Donizetti reached his greatest heights as a composer of lyric tragedy. Though it was Duprez who first sang this music, it might have been composed specially for Spyres, whose performance of the scene on Espoir resounds with unaffected despair and desperation. His ‘Tombe degli avi miei’ is an inward musing, addressed as much to the spirits of his ancestors as to the tombs of which he speaks, and he sings ‘Fra poco a me ricovero’ with grace redolent of John McCormack’s 1910 recording of the aria. Duetting with the cello in ‘Tu che a Dio spiegasti l’ali,’ Spyres traces the vocal line with incredible poise and the freedom in the upper register that the music demands but so seldom receives. The operas of Daniel-François-Esprit Auber and Fromental Halévy have made far less progress than those by Rossini, Donizetti, and Bellini in reintroducing themselves to the public, but several productions and recordings in the past decade have demonstrated that Auber’s and Halévy’s scores deserve modern listeners’ attention. The tenacity with which Spyres sings music from Auber’s Le lac des fées inspires curiosity about what other riches hide among Auber’s overlooked operas. The tenor vocalizes Albert’s Act One recitative ‘Ils s’éloignent! je reste...’ with urbane diction and a palpable depiction of the character’s ambivalence. The skillfully-crafted air ‘Gentille fée, au doux sourire’ is handsomely sung, its musical prosody effectuated with technical savvy. Halévy’s La Reine de Chypre was among its composer’s most popular works during the Nineteenth Century, but its charms did not survive the changing tastes that followed the operatic innovations of Verdi and Wagner. Gérard’s air ‘De mes aïeux ombres sacrées’ and cabaletta ‘Sur le bord de l’abime’ from Act Four of La Reine de Chypre are here performed with dizzying virtuosity by Spyres, the repeated acents to top B♭ managed with aplomb. No music from Halévy’s forgotten Guido et Ginérva seems to have been recorded before Spyres entered the studio to make Espoir, and his voicing of Guido’s Act Three scene does much to make amends. Opening the scene with an aptly luminous reading of ‘Dans ces lieux, Ginérva, ta dernière demeure,’ he then voices the air ‘Quand renaîtra la pâle aurore’ superbly, seconded by Gareth Small’s brilliant playing of the trumpet obligato, an invention not unlike the instrument’s function in Ernesto’s scene at the beginning of Act Two of Donizetti’s Don Pasquale. The dramatically momentous duet for the title characters from the fourth act of Guido and Ginérva is the sprawling centerpiece of Espoir, and Spyres is joined by El-Khoury in a potent performance of the scene, their voices blending like two tributaries joining to form a mighty river. When Spyres sings ‘Tu seras donc pour moi sans cesse inexorable,’ it is with Guido’s emotions channeled through his own, and he and El-Khoury voice ‘Ombre chérie! ombre adorée!’ as though expressing their feelings with top Ds were the most basic mode of communication. Could Duprez and Dorus-Gras have sung this music so well? Paris was unquestionably the operatic capital of Europe during the Nineteenth Century, and the lure of success in the city on the Seine was no less irresistible to Verdi than it had been to Rossini, Donizetti, and Bellini. Revised with a French text for performance at Salle Le Peletier in 1847, Verdi’s I Lombardi alla prima crociata became Jérusalem, but it was in translation back into Italian that the revised score was espoused by Leyla Gencer and Jaume Aragall in the 1960s. Spyres here sings Gaston’s Act Three scene in the original French with which Duprez was acquainted, and he declaims ‘L’infamie!... prenez, prenez ma vie!’ rousingly. The air ‘Ô mes amis, mes frères d’armes’ is intoned with zeal that discloses how engaging a performance can be without wandering beyond the boundaries of the proper style. One of the finest events in the 2017 BBC Proms series was a performance of Berlioz’s La damnation de Faust in which Spyres sang the name part with alluring tone and poetic sensitivity that would have pleased even the prickly Goethe. Spyres’s portrayal of the title rôle in Terry Gilliam’s production of Berlioz’s Benvenuto Cellini at English National Opera was also fantastic, and he offers a spectacular performance of Cellini’s Act Two scene on Espoir. The words of ‘Seul pour lutter, seul avec mon courage’ are for Spyres like the molten metals that Cellini metamorphosed into works of art. Molded by the tenor’s musicality, his singing of ‘Sur les monts les plus sauvages’ is a work of art in its own right, the golden top notes glimmering. It is fitting that the scene for Edgardo and Lucia that ends Act One of Lucia di Lammermoor should be included on both of these recitals, as part of the programme of Écho and as a bonus track in the digital download version of Espoir available from Opera Rara. The camaraderie with which El-Khoury and Spyres sing ‘Verrano a te sull’aure i miei sospiri ardenti,’ this fearless Edgardo soaring to his written top E♭, is representative of all of the music making on Écho and Espoir. As Dorus-Gras and Duprez must have done when learning, rehearsing, and inaugurating the public history of the music on these discs, Joyce El-Khoury and Michael Spyres interact not as star singers flexing their egos but as fellow musicians dedicated to the common task of providing the listener with memorable performances of music worth hearing. This should be the goal of all musicians who have the good fortune to find themselves before microphones, and with Écho and Espoir these musicians and Opera Rara again get it right. Bel canto carries on!